While we were in New York City, Holly Chapple arranged for the Chapel Designers to create a bouquet using a special type of bouquet holder provided by Smithers Oasis. Our flowers were provided by Florabundance, Roseville Farm and Alexandra Farms. 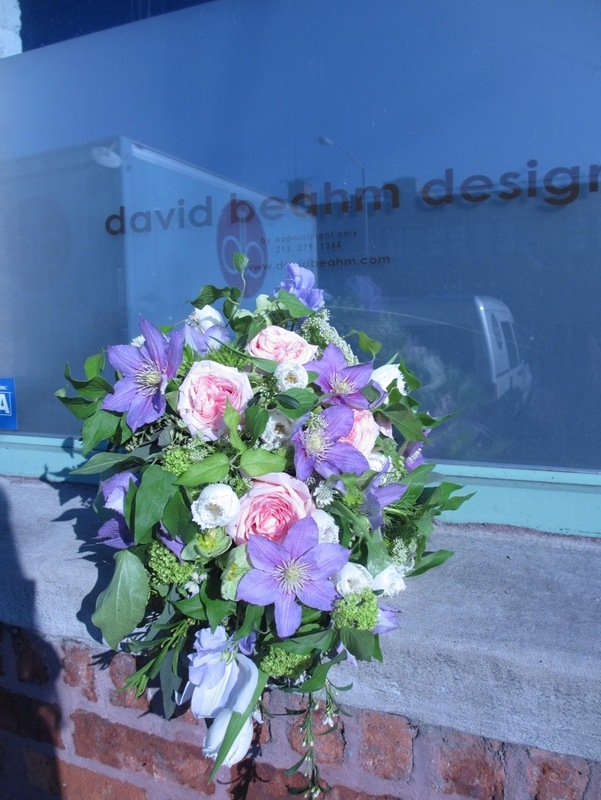 We spent the day in David Beahm‘s production warehouse located in the Bronx and a portion of the day was spent arranging our bouquets. Holly and Francoise Weeks graciously shared design techniques with us while we designed. Talk about pressure – designing amongst the best designers from around the country is very intimidating to say the least! Our day was jam packed and absolutely amazing. I’ll be sharing more about it in the days to come but for now, here are some pretties for you to enjoy! 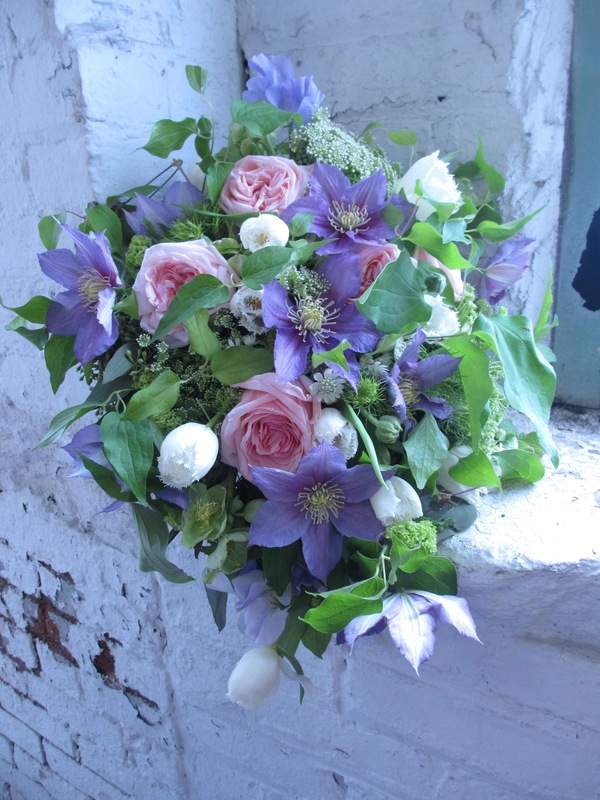 My bouquet included pink garden roses, purple clematis, white ruffle tulips, Queen Anne’s lace, ranunculas buds, hellebores, scabiosa flowers, and sweet peas. Anna, your work is beautiful! Thank you for your kind words Rhonda!! This looks as beautiful or even more than what I’ve seen on magazine covers. Enter your email address to follow this Urban Petals and receive notifications of new posts by email.